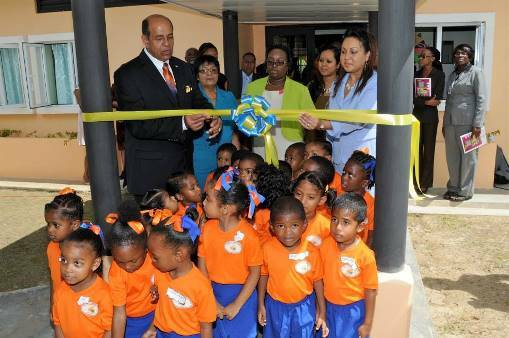 Two more new schools were officially opened on Tuesday 3rd, February 2015 by Education Minister Dr the Honourable, Tim Gopeesingh in the Point Fortin Constituency. The Egypt Village Government Primary School was constructed to accommodate a student body of 420 students while the Salazar Trace ECCE Government Centre costs approximately seven million dollars and accommodates sixty infants. 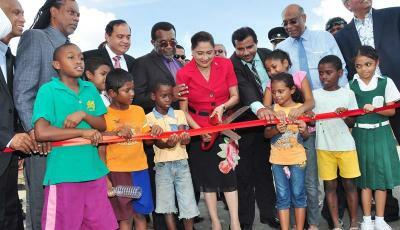 “For us in the People’s Partnership Government, it means that we will always deliver to you, the people of this area, for you too are citizens of our great nation, law abiding, tax paying citizens who contribute tremendously to our nation’s social, economic and cultural landscape, and you deserve no less than anyone else.